A sermon preached at Sabbath worship on Saturday, March 21, 2015 at Southminster Presbyterian Church in Boise, Idaho. (Tonight in worship, everyone was invited to take a piece of clay to work during the service. During the time of confession, people were asked to destroy what they had made and start again. 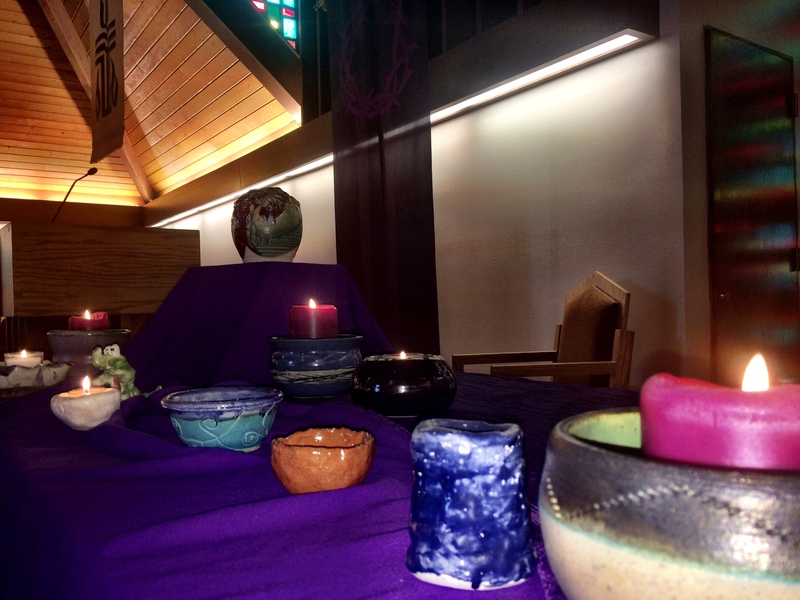 A member of our congregation, Nancy Thomas, had a pottery wheel set up in the chancel and she created a few different pieces throughout the service). One of the many things I love about pottery is the way pottery’s imperfections are part of it’s beauty. 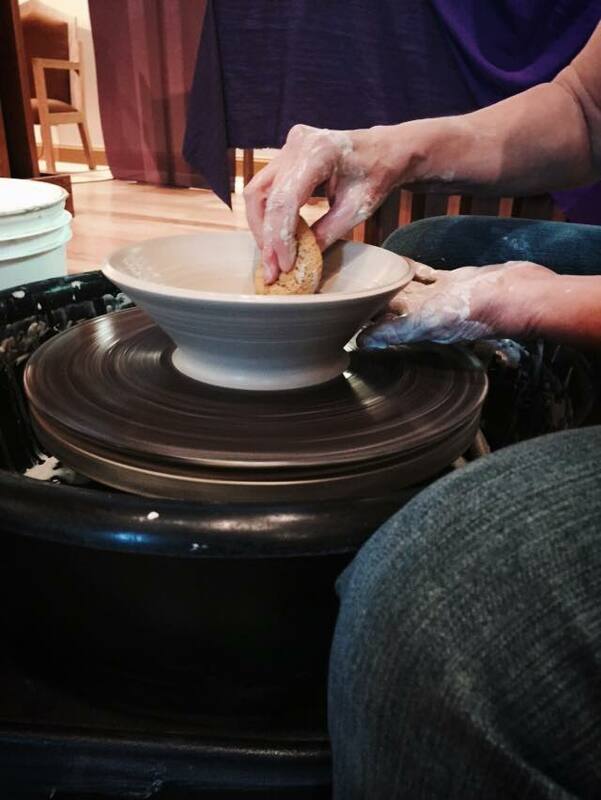 Even when the piece of pottery is thrown without seeming imperfections, the process of glazing allows you to see drips and how the glaze may not have followed the intentions of the potter. And in a world that photoshops us into believing that beauty lies in an unreal perfection, it is important for us to remember the beauty in our brokenness. There is a Japanese aesthetic in pottery and art that seeks beauty in imperfection because all things are impermanent, all things are imperfect, and all things are incomplete. It is helpful, I think, during this time of Lenten reflection, to consider and claim our imperfection. Because if we don’t, then we won’t be able to claim our perfection in Christ. The passage from 2nd Corinthians is one of my favorite passages of Paul’s writings. “But we have this treasure in clay jars, so that it may be made clear that this extraordinary power belongs to God and does not come from us”. Clay is a helpful metaphor because it keeps us from thinking it is all about us. God didn’t fashion us from high tech, titanium, super fancy polymers or Limoges china. God uses the metaphor of clay. Useful. Fragile. Beautiful. Easily broken. Able to be mended and re-worked. We are stuff of the earth, utilitarian and meant to be useful. Additionally, clay needs to be worked by other hands. It can’t make itself into something of beauty. We, ourselves, are the work of God’s creating hands. We forget that and start thinking the extraordinary power Paul writes about belongs to us, not to God. Even if our creative power will never be the same as God’s, I do think we can help each other out, smoothing over the rough places and helping each other find beauty in the cracks and broken places of our lives. For the apostle Paul, and for Isaiah and Jeremiah before him, our fragile, imperfect humanity is not something to ignore or to pretend doesn’t exist. When scripture calls us clay and God the potter, it speaks to a constant and continuing relationship, never to a life that is unredeemable. Yes, we often are disasters, lumps of clay that feel so mis-shapen, we wonder if we are beyond repair. But God is always at work in and through us. God is constantly seeking to re-shape and to guide us into becoming vessels of grace and mercy for the world. For Paul, by claiming our broken humanity, we can empty ourselves to live into Christ. Paul says we are “always carrying in the body the death of Jesus, so that the life of Jesus may also be made visible in our bodies”. In other words, if you want to know about the glory and eternal life of Jesus, you have to remember the death of Jesus. If we want to know what it is to be beautiful creations of God, living into God’s fullness and abundance, we have to remember that death is a part of life. We began Lent on Ash Wednesday with the mark of the cross on our foreheads in ashes. From dust you are and to dust you shall return. And it is a long journey to get from dust to resurrection. At the end of the journey of life, we’ll have scars on our bodies from when we tried and failed, falling to the ground. We’ll have scars on our bodies from where we tried and succeeded—because hard work and effort leaves a mark too. We’ll also have scars on our hearts, because we let other people into our hearts and that leaves a mark. We love. We lose. Our hearts expand to take in all of the love and beauty. I trust our hearts are left with stretch marks after we send that love back out into the world, and our expanded hearts return to normal size. At the end of the journey we’ll show signs of wear and tear and have laugh lines etched into our faces. Our skin will have marks and wrinkles because we walked in the sun with people we love. And through it all, not despite it all, but through it all, God remains at work, seeking to reshape us into something of beauty and use for the world. Are you willing to see beauty in imperfection? Are you willing to be shaped and re-shaped by the God who created you in beauty and for good? March 21, 2015 in 2 Corinthians 4, Isaiah 64, Jeremiah 18, Potter, Sermon. ← Medium is the Message? I so needed to hear/read this today. 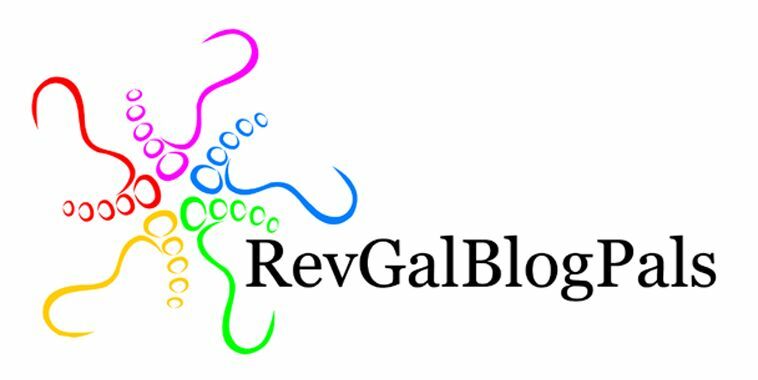 Thank you, Rev Marci.